Maria Bjornson and her mother Mia Prodan. I first met them both when I was eight years old when they had an annual holiday in the hamlet where I lived in Hertfordshire. I have never met Mr Allingham but each year I have noted his birthday and think of him and all the young fellows who died in the First World War. Henry Allingham died this July 18th (2009). 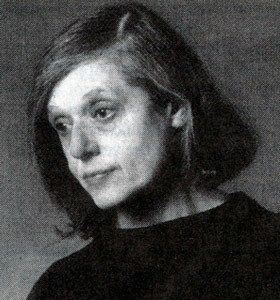 Naomi Lewis, poet, critic and writer. It is fascinating to get an idea of what she looked like when younger - to me she was always a tiny old woman with a hint of girl about her. Naomi lived in Red Lion Square all her life and that is where I met her. She was tiny and elfin and wore mini-skirts with black tights and had a very artistic way with her. She was fiercely independent and had a beautiful speaking voice. Naomi Died aged 97 in July of 2009. Judy Campbell, actress, was a dear friend who died in 2006 at a great age. She was always elegant, always witty and her voice and story telling were captivating. 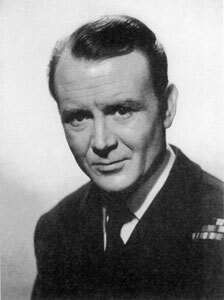 Sir John Mills CBE was a friend for a decade before he died at the age of 97 in 2005. He was the most charming man you could ever meet and we felt very lucky and honoured to know him. He seemed to exhale love and this was never more apparent than when he ... more » was with his wife Mary Hayley Bell whom he adored. 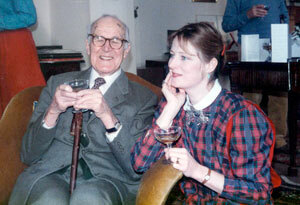 Sadly, she was not well enough to attend his 90th birthday celebration in February 1998 at The Dorchester Hotel. This event was also in aid of the Greater London Fund for the Blind (Sir John had been registered blind for five years) and included a film tribute to him by the British Film Institute and a personal tribute by Sir Richard “Dickie” Attenborough as well as Crispian Mills, Sir John’s grandson performing on acoustic guitar. I sat next to Stephen Fry at the dinner. We used to stay with Peter and Helen Mitchell at their house, Glynn, near Bodmin and this was taken in the courtyard where we had lunch. Helen was an inspired painter and we both used pastels and talked endlessly about our work. We shared an exhibition at the Addison Ross Gallery in Chelsea. 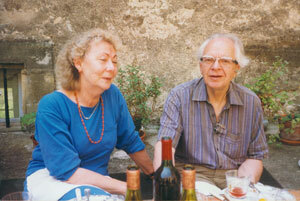 Helen was the best cook I have ever met and had learnt from Julia Child who was a friend. She had truly mastered the art of French Cookery. 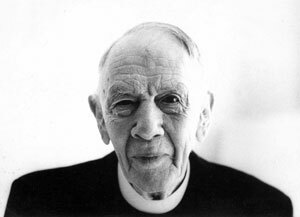 The Reverend James Harold Flye who was a close friend of Robert's from his school days and who later became my friend too. We stayed with him in New York. I will add more about him later. My friend Colin Jones with his mother Amy. 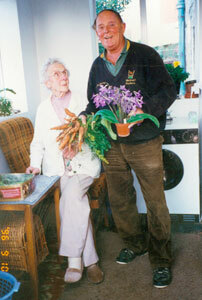 Colin had a wonderful cottage garden and sold produce to passers-by. I always enjoyed calling in on him and buying armfuls of basil, tomatoes, flowers, herbs and whatever else was on offer. 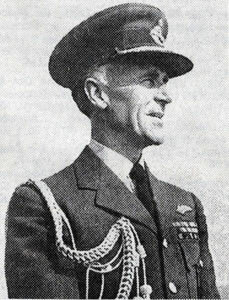 Colin died in 2006. Sir Victor enjoying a glass of champagne one Christmas at Millicent near Naas in Southern Ireland. 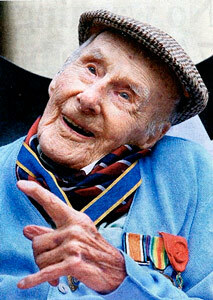 Victor was a dear friend until his death at a great age and I will write more about him when time allows. 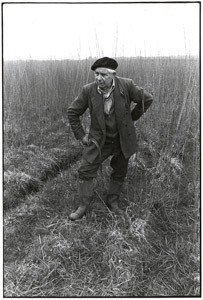 Harold Hembrow outside his cottage on the Somerset Levels. 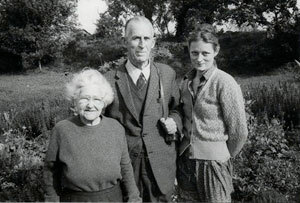 Harold was a withy cutter and basket maker whom I met while out painting on Sedgemoor soon after we moved to Somerset. He had a big garden and grew all his vegetables and gave a lot away. He used ... more»to pick me a big bunch of sweetpeas and give me a glass of his elderflower wine. Harold took snuff and always had a brown dusty snuff trail down his front. We used to go for a drink at The Black Smock Pub where I had a schooner of sherry and a pickled egg with a bag of crisps. Harold had lots of stories to tell about the levels and the cider-making and the floods. 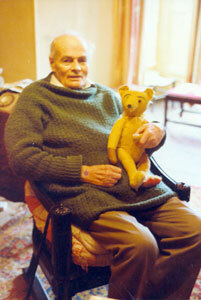 Sir Edward Malet with his bear, also Edward. He was a former High Sheriff of Somerset. Hiis obituary (see link below) tells more about him than I could. We used to visit him in his house in Chargot in Somerset where he lived alone after his wife ... more»died and he talked about his life. The Malets never used insecticides or chemical sprays on their land, long before this was topical. 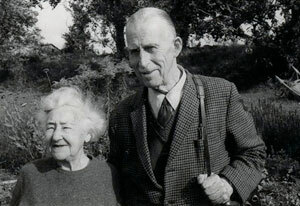 Robert took this photo of Joe Taylor and his sister Betty at their farmhouse in Warwickshire. They were born on the farm and spent their lives there. Several of their siblings had died as children from scarlet fever and were buried in the churchyard at Burton Dassett. 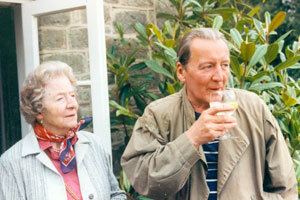 We lived there for several years and often had Sunday lunch with the Taylors. Betty made lovely apple dumplings. Joe always wore a tie and drove very sedately along on his open tractor. 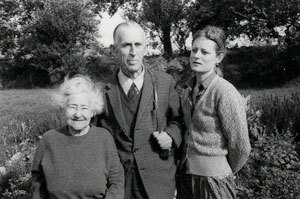 Dickie Buckle and his mother at his house Roman Road near Shaftesbury in Dorset. Dickie wrote books about ballet. Both Dickie and his mother died years ago. Dickie gave you a proper tea with delicate china and crust-free sandwiches and two kinds of cake. 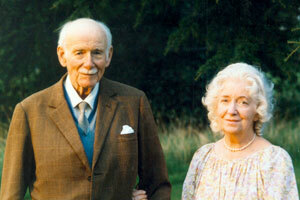 Sir Edmund and Lady Stockdale were old friends of my parents. 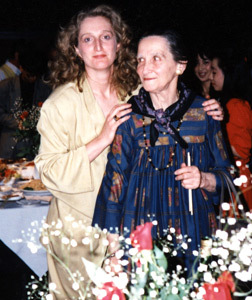 Louise was my sister's god-mother. She met my mother when they were both driving ambulances in London during the Blitz. Louise was American on her mother's side, a Fermor-Hesketh. Sir Edmund was Lord Mayor of London when I was a child and it was a great thrill to be invited to the Lord Mayor's Tea party. Children went in Fancy Dress. 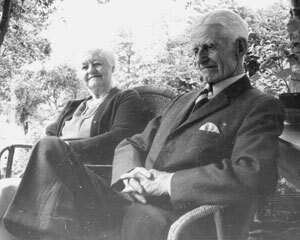 The Stockdales lived in a delightful house called Hoddington House at Upton Grey near Basingstoke and visiting them was magical. Lousie owned a herd of prize-winning Jersey cows and bred champion bulls. 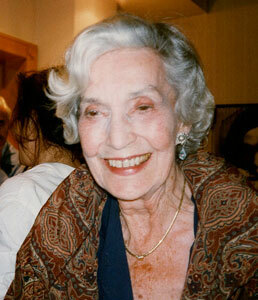 She was a founding member of the Tibet Society and every year had a tea party for Tibetans living in England. She would produce quintessentially English teas with cucumber sandwiches and iced cakes and thin porcelain cups. The Tibetans, including the Dalai Lama, loved her and would recount their stories of fleeing across the Himalayas with bare feet and then roar with laughter. On one of these occasions Louise asked her herdsman to bring Bully, the Champion bull, into the garden to show the Tibetans before tea. He was spotless and regal, honey-coloured and vast, held by the ring in his nose on a short white rope. His bright eyes rolled as he sedately walked around the gravel drive and the Tibetans positively gasped at his enormity. One lama, dressed in his maroon robe with sandals on bare feet stepped back as he said nervously: "What does he eat???? Meat??" Louise wrote poems, painted, held musical evenings, grew roses, and looked herself rather like a rose - beautiful peachy skin, powdery cheeks, voluptuous, a tinkling infectious laugh and a lyrical voice. She was adored by men and had a devoted circle of friends. After Sir Edmund died she continued to live on at Hoddington House with one or two loyal retainers, and still held her musical evenings, tended the garden and wrote her poems, which she published from time to time. 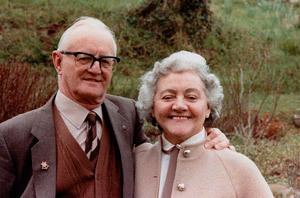 Brian and Ruth Fawcett, at our house in Somerset in the 1970s. 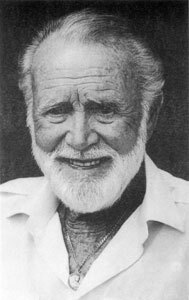 Brian was the son of Colonel Percy Harrison Fawcett, the famous explorer who was lost in the Amazon. Brian spent much of his life searching for him and his brother Jack, but never found them. 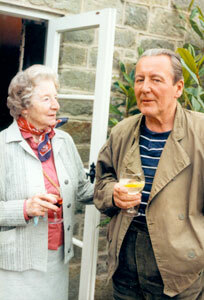 Our dear friend Fred Clarke with his wife Babs. 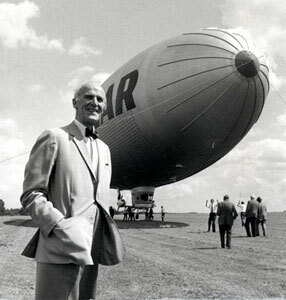 Fred looked after the interests of his brother, the science fiction writer Arthur C. Clarke, from their home in Somerset where the brothers were born on a farm. Fred was largely responsible for the restoration of the organ at Alexandra Palace - the old Ally Pally. 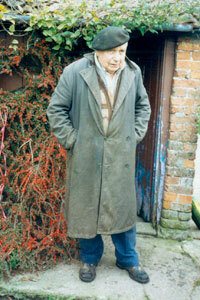 Norman Fry of Chedzoy Somerset was a true country gentleman. 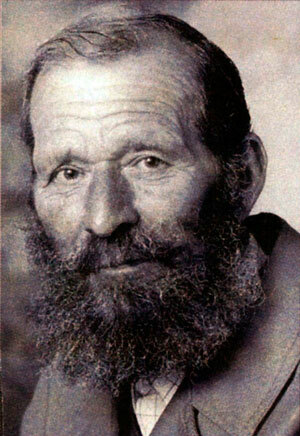 He made his own cider which was golden and mellow, drove his tractor at a gentle speed and was always courteous. With his passing a piece of rural Somerset died too. His tremendous knowledge of traditional farming methods, working in harmony with nature and compassion for the land and his gentle smile will not be forgotten. 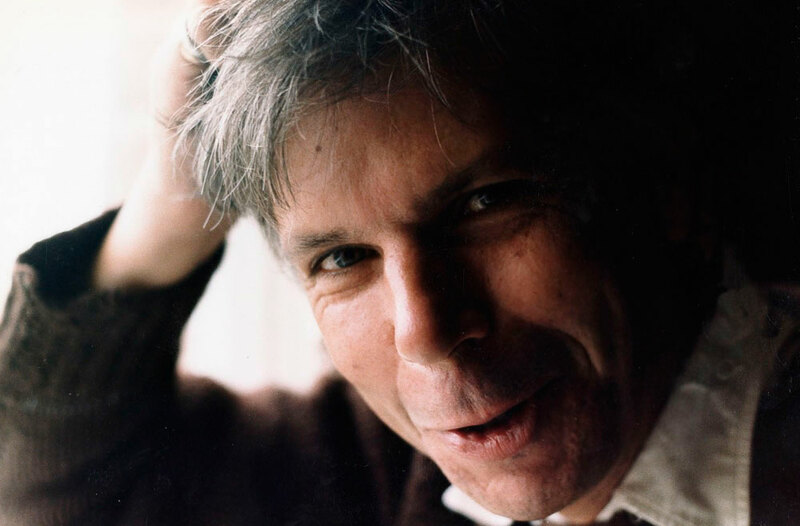 My dearly loved friend Rob Stuart who ran The Langton Gallery in Chelsea where I had my first exhibition. Rob was not only a unique and fascinating character with a wonderful turn of phrase but also also a loyal and true friend. I miss him enormously since his untimely death. This is Jess Suchwell who was a good friend when we were neighbours in Primrose Hill. 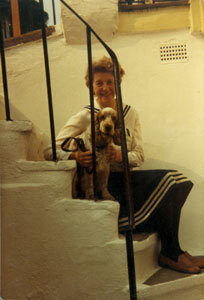 She lived in Chalcot Crescent where she was born, and had spent her life there. She became a dressmaker for Christian Dior and more»showed me how to make paper patterns using a brown paper template. She used an old Singer sewing machine, which had been converted from a treadle to electric. Jess was a perfectionist and was always horrified at the low standard of ready to wear clothes. She made all her own clothes and earned her living as a dressmaker later in life. She never married and was very content. Jess always had a spaniel and this one is Ben, sitting with her on the steps to her flat. Jess had a terrific sense of humour and was well read. She loved discussing what she was reading and used the Library at Chalk Farm. She read all of Carl Jung’s works. Jess came to stay with us in Warwickshire where we had a tiny farm cottage and no heat. She never forgot driving back to London with us in our old Morris Traveller, covered in coats and blankets, with the smell of cider pervading the car from a flagon we bought at the local farm. We were stopped by the police for some reason and she sat in the back with a coat up to her chin terrified that he would arrest us all for being drunk. Jess cooked proper English food and made a lovely steak and kidney pie, steamed in a china bowl with a cloth and string. 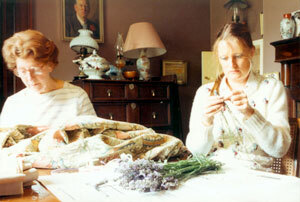 Here is my friend Jess Suchwell hemming curtains while I make lavender bundles in our dining room in Somerset. My grandfather, Bryan Kenny (my mother’s father) is watching behind the oil lamp.